Family wellness and health optimization is the focus of our popular chiropractic care center. 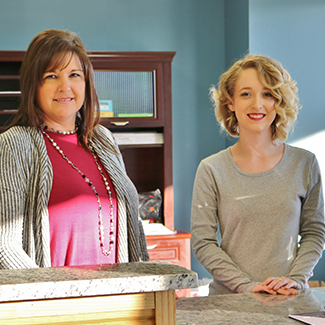 Power Chiropractic Clinic is passionate about working with Batesville and Newark, and Cave City community members of every description; from babies and children to athletes and active seniors. We place particular emphasis on gentle chiropractic techniques and high-quality phyysiotherapy and rehabilitation services, including the best in therapeutic massage therapy. The foundation of our practice is to help people live the best life possible, inside and out. Our mission is to assist our patients in expanding their toolbox of resources in expressing optimal health; we want our practice members to feel better and be better. Dr. Power has been in active practice for over two decades. Her passion has grown and deepened as she continues to appreciate how the chiropractic lifestyle literally changes lives. Every day in the office demonstrates the power of the chiropractic adjustment. A female patient came in to see us because she had lost her job. She suffered from debilitating headaches and spent many days at home in paralyzing pain. Her efforts to heal met with complete failure. After only two weeks of chiropractic care, this patient experienced a dramatic turnaround: her headaches ceased; they’ve never returned. We feel fortunate to be a part of what makes the lives of our patients more fulfilling, joyous and rewarding. May we welcome you as a new patient? We offer same-day appointments and complimentary consultations; we’re in-network providers and accept Medicare. Contact us today!